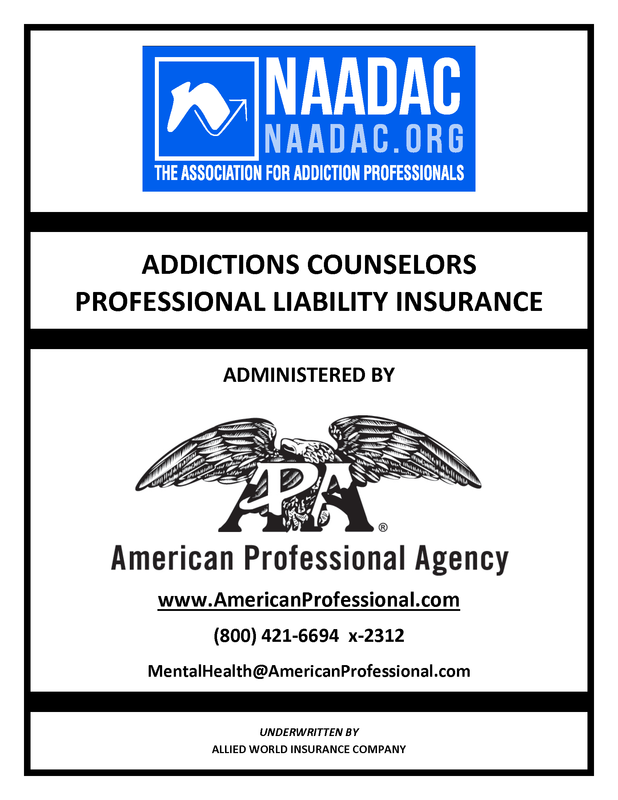 Addiction Counselor | American Professional Agency, Inc.
NAADAC, the Association for Addiction Professionals has endorsed our Addiction Counselors Professional Liability program. Our policy covers individuals in a wide variety of modalities related to the addiction recovery field. More information about the APA, Inc’s program for malpractice insurance for addiction counselors can be found in “Frequently Asked Questions” in the Forms and Information section. If you need assistance for addiction counselor professional liability, call 1-800-421-6694 X 2312. Students: Click Here to apply for Professional Liability Coverage designed for Students currently working toward educational requirements in an accredited program. Credit Card Payments are accepted on-line only, as we do not accept credit card payments over the phone. Please call (800) 421-6694 and we will inform you as to how you can pay by Credit Card.